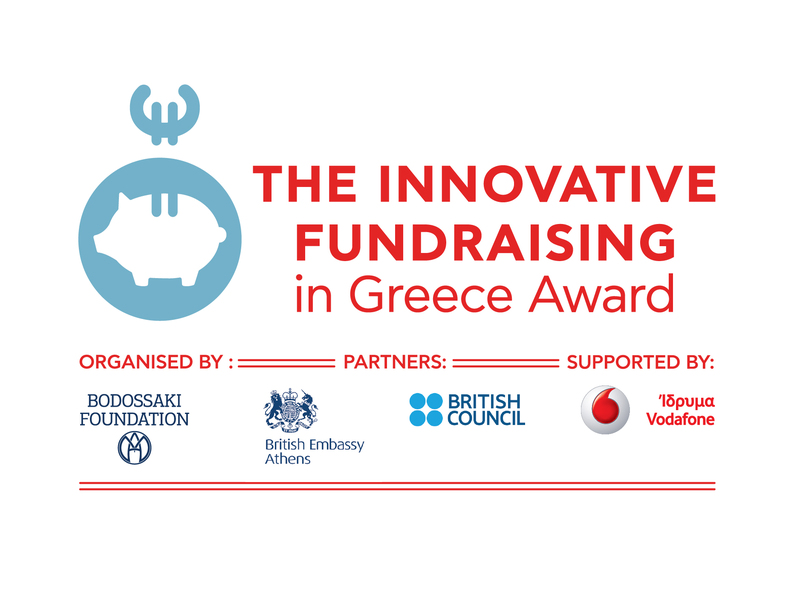 The Innovative Fundraising in Greece Award aims to recognise and promote innovation in fundraising in the third sector in Greece. The award is organised by the Bodossaki Foundation, via Social Dynamo, in partnership with the British Embassy in Athens and the British Council, and with the support of the Vodafone Foundation. For the full terms and conditions of entry, see here. The winning organisation will be awarded with a two-day trip to the UK for two of its representatives (comprising air tickets and hotel accommodation to a maximum total value of €1500), in order to meet leading international fundraising experts and to gain inspiration and advice on further developing their fundraising activities and strategy. Interested parties are invited to submit their entry by completing the entry form here, where they will need to describe their fundraising activities and why they consider them to be innovative. The entry form should be completed in full in English and submitted electronically to socialdynamo@bodossaki.gr by 17.00, Saturday 30th September 2017. The entry must be accompanied by a scanned copy of a signed statement (‘Υπεύθυνη Δήλωση’) by the legal representative of the organisation to confirm the accuracy of the information submitted in the entry form. Deadline for entries: 17.00, 30th September 2017. Announcement of winners: by 31st October 2017. Winners’ trip to UK: by 31st March 2018.